Builder Jace Keirnan, a bricklayer by trade with over 13 years industry experience, heads the team at Stroud Homes Brisbane North. Jace has extensive structural knowledge and brings a great deal of passion to the home building industry. Having managed his own successful subcontracting business since 2008, he has continued to demonstrate the leadership, honesty and high quality workmanship he is known for within the industry, since opening the North Lakes office in 2014. Taking great pride in every aspect of the building process, Jace is committed to supporting a positive and motivated work environment, ensuring exceptional customer service and the highest quality finished product. Stroud Homes Brisbane North is all about family, with Jace’s brother Kyle leading the sales team and dad Greg overseeing the construction out on site. Outside of building, Jace is a proud dad who enjoys spending time with his own young family and has a keen passion for basketball. Why did you choose Stroud? Jace joined Stroud Homes not just for the professional way they approach customer service, but also for the great home designs they have on offer. Jace is really passionate about building and wants to be able to offer his customers the wonderfully unique home designs and functionality that we at Stroud Homes pride ourselves on. So if you’re looking to build in North Brisbane come in and meet Jace and his team. 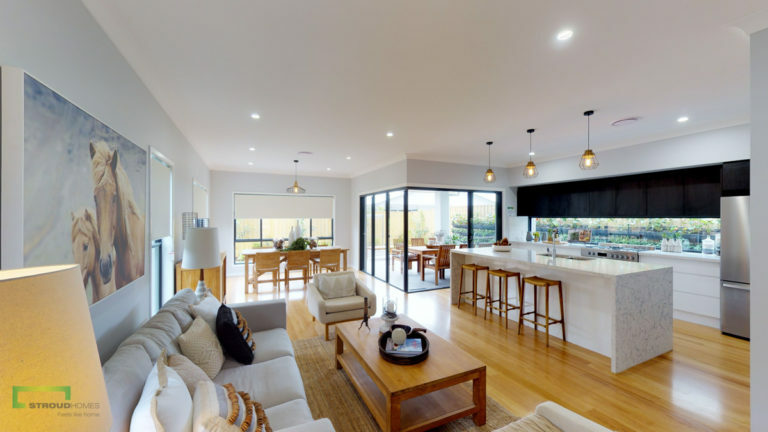 They’re very approachable and are only too keen to talk about your dream home ideas, whether it’s for a family home or an investment property, on an existing block or as part of one of their house and land packages. Stroud Brisbane North are a great company to deal with. The start of this house design began when we lived interstate. The success relied on a great deal of patience and communication. The build process was good, high quality workmanship and where difficulties arose they were dealt with in a professional manner. We have a fabulous home that we love. 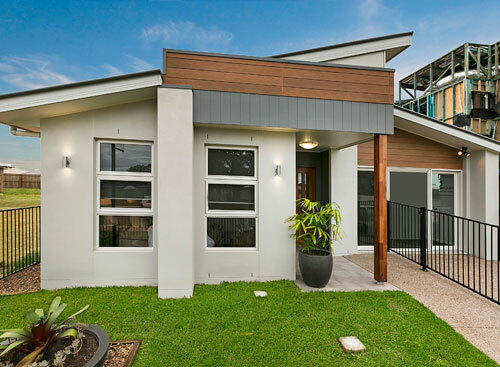 Stroud Homes Brisbane North – The only people you build with EVER! How well managed was your build? Excellent, proficent, friendly & professional. We heard from the team every week which is exactly what you want when building first time (like us) or again & again. How was the workmanship and build quality of your property? We honestly now have our dream home & the quality is second to none. If we ever build again, Stroud Homes Brisbane North will be hearing from us for sure. How did your final cost compare to your estimated cost? We knew our costs the whole way through which is amazing & took so much pressure and fear off the ideals of building. Truly as they state everything was “Black & White”. We cannot thank everyone at Stroud Homes Brisbane North enough, we are so happy with our dream home & the service we were given throughout the whole process & still receive when we do pop in to say hello. As a First home buyer and builder the task of building a home is a very daunting one. 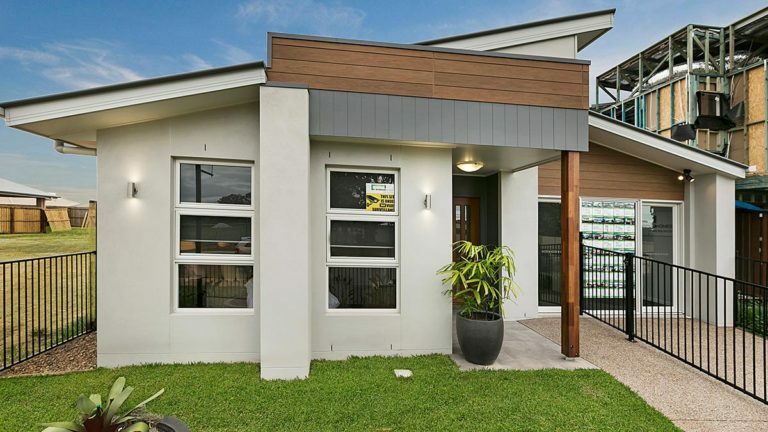 But from the minute we walked in the display homes and spoke with Kyle to the handover with Greg, Kyle and Jace the process of building a home through Stroud Homes Brisbane North has been an extremely smooth one. With weekly updates from Greg directly on the progress of our house and he was willing to answer any question no matter how silly it was in professional manner. All this combined with great workmanship took all our fears away and now we are living in a fantastic home of our design and couldn’t be happier. Our family is currently in the process and early stages of Stroud North Building our Families new Dream home in Upper Kedron. We feel we have stumbled upon the most amazing team of people in the building industry. Every step of the way we have had such personalised service, catering to our families every want making our dream a reality. Clear, honest,diligent, incredibly professional and helpful advice has made this a stress free time in our lives. Every question answered, the process clearly outlined and no hidden costs. With so many house design options available and endless customised finishes your home will stand out in the street. So if you are looking for a company to entrust your new home build with, look no further than Stroud North. Not only will you get a quality home, but affordable personalised treatment from start to finish. You will feel like part of the Stroud family from the very start. Kyle and the team at Stroud homes made our building experience so easy. We were able to make changes to the house plan to make our home into a 6 bedroom home, they helped us in many ways and even with our covenant making things different even let us amend certain things with no charge. Kyle thank you for all you did to make it as simple as it needed to be and to Greg, thank you for being a fantastic building manager and even with rainy days you had our house completed on time.